I told you in my last post that National Signing Day was going to be crazier than an Ozzy Osbourne concert, but even I couldn’t predict the madness that unfolded last Wednesday (and the days that followed). In this week’s edition I’ll look at some of the winners and losers of National Signing Day 2015. UCLA only signed 19 prospects but boy did they make it count. The Bruins finished 13th in the final team ranking but three of those signees were 5-stars. UCLA also finished with the 4th highest average star ranking per recruit. That is great and all, but there is one other factor that made them a real winner on NSD. The signing of Cordell Broadus is what really set them apart. 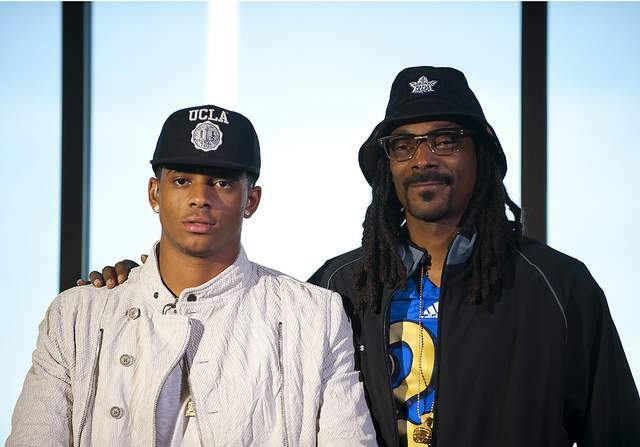 This 4-star receiver is the son of major USC supporter Snoop Dogg. After his son’s announcement, Snoop stated that he supports his son 100% and is now a Bruin supporter. Talk about a huge score in the Battle of Los Angeles. Sam don’t hate me, but hear me out. I am by no means saying that Mark Richt signed a bad class. The Bulldogs signed 28 prospects and ranked 7th in the final team rankings. My main reason for putting Georgia here was what could have been. Yes, Georgia signed a pair of 5-stars in ATH Terry Godwin and DL Trent Thompson. Both will be studs in the red and black. But, missing out on 4-star ATH Darius Slayton (who signed with Auburn) and 4-star linebacker Roquan Smith (who committed but still hasn’t signed with UCLA) hurt. Both of these recruits were at one point either committed to UGA (Slayton) or a UGA lean (Smith). Signing both of these recruits would have put the Bulldogs in the winner category and probably a top 5 class. All is not lost with Smith however since he has not signed his NLI with UCLA. If Georgia can get back in the mix, Mark Richt can build on an already stellar class. 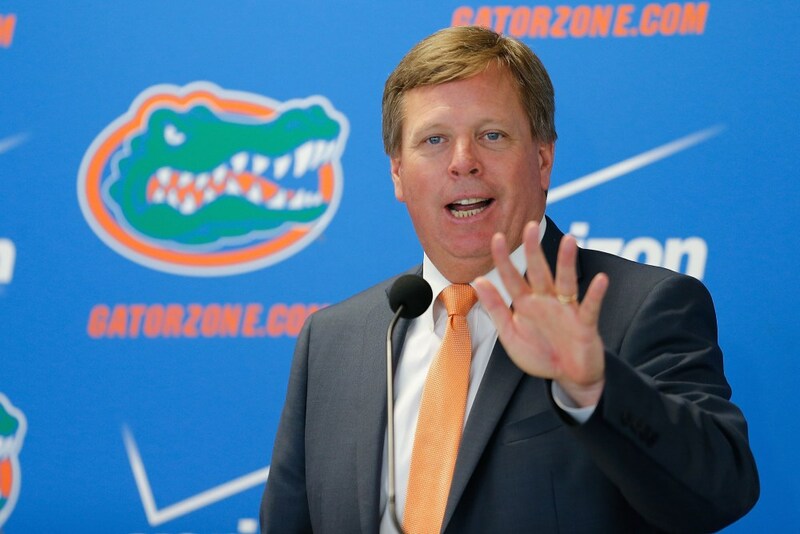 Jim McElwain came into Gainesville and in roughly 2 months threw together a top 25 class. But the real reason they are in the winner category is the guys at the top of the board. Inking 5-star OT Martez Ivey and 5-star DE CeCe Jefferson was a huge win for the Gators and provides centerpieces to build around on both sides of the ball. It wasn’t without drama however. Jefferson announced that he would sign with Florida, but didn’t send in his NLI because he was at his house and didn’t have a fax machine. Fair enough. Next day comes to an end and still no NLI from Jefferson. Finally, it comes out that CeCe will take his time and didn’t feel like the new Gator staff paid him the respect that is deserving of a top recruit. Auburn, Alabama and Ole Miss all emerge as new favorites to land the talented defensive lineman. In the end, everyone in Gainesville is happy however as Monday, Jefferson finally sent in his NLI. I told you recruiting was crazy. 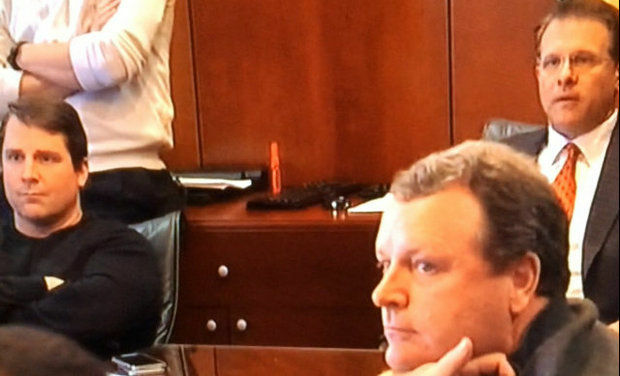 Yes, the Gators signed 2 of the best players in the country, but for a while it looked like the McElwain Train might derail before it even left the station. A longtime Florida lean and the consensus #1 player in the country signed with Auburn. The way the whole thing went down with Cowart was just stinky from the get-go. Cowart’s high school coach won’t send in Cowart’s NLI because he says Cowart signed both for Auburn and Florida. Cowart and his family claim he only signed the Auburn one (which was later proven to be true). Oh and did I mention that new Florida DB coach is Cowart’s coach’s son? The whole thing just left a black eye. The Tigers also flipped Florida offensive lineman Michael Horton. Jeffrey Holland also seriously considered Florida only to sign with Auburn. To make matters worse, Florida is paying Will Muschamp $6 million+ in buyout money to take recruits and bring along his best recruiter (Travaris Robinson) to Auburn. Yes, McElwain signed CeCe Jefferson, but being drug through the mud by Papa Jefferson certainly is a body blow to the Gator coaching staff. Auburn may have closed as strong as any team in the past 10 years. Sitting outside the top 10 going into NSD, the Tigers made a huge surge towards the front by signing 5-star Byron Cowart, 4-star Darius Slayton, Jeffrey Holland, Carlton Davis and Prince Tega Wanogho Jr. Gus Malzahn and Company finished with two 5-stars and a ridiculous sixteen 4-star prospects inking their names to become Tigers next year. Much of this late surge has to be credited to the work of new Auburn defensive coaches Will Muschamp, Travaris Robinson and Lance Thompson. These guys utterly dominated south Florida and were able to convince many top targets to take another look at the Plains. I would say it paid off. If I asked you who finished with the 5th ranked class who would you guess? USC? FSU? LSU? You would be incorrect on all 3 guesses. That distinction goes to Butch Jones and the Tennessee Vols. Quietly, Jones has turned in back-to-back top notch classes and has things in Knoxville heading in the right direction. Tennessee returned 0 starters on either line last season, so line was a big emphasis and Jones delivered landing 5-star defensive linemen Kyle Phillips and Kahlil McKenzie. They also were able to flip 5-star offensive lineman Drew Richmond from the Rebels down in Oxford. These 3 address huge needs for the Volunteers. Add in playmakers such as 5-star JUCO Alvin Kamara and 4-star WR Preston Williams and all of a sudden, up-and-coming QB Josh Dobbs has some real weapons. That about wraps up this year’s coverage of National Signing Day 2015. There were certainly other worthy candidates to be on the Winners and Losers list. Alabama and USC both did Alabama and USC things by signing insanely talented classes, which is to be expected. That’s why I left them off is because it was no shock to see them finish 1st and 2nd in the final rankings. Just think, only 359 days until we get to do this all over again.